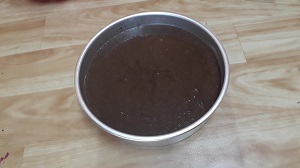 So many friends asked me the recipe of eggless chocolate cake. 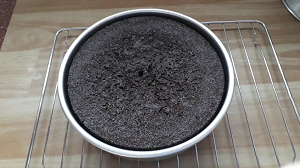 This is the simple and tasty, moist eggless chocolate cake recipe. 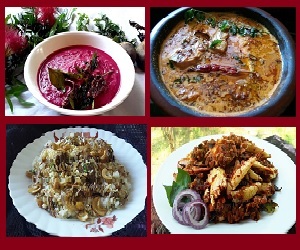 It seems vey yummy. My kid likes this cake very much. 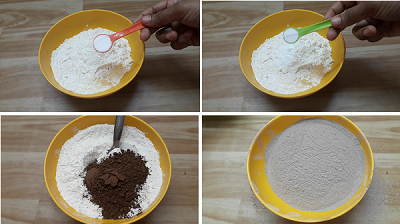 Today we prepared a soft and spongy eggless chocolate cake with flour, milk and various other ingredients. 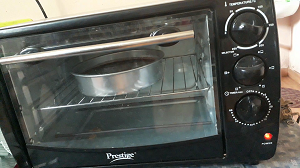 I will already show you the making of eggless vanilla cake recipe. 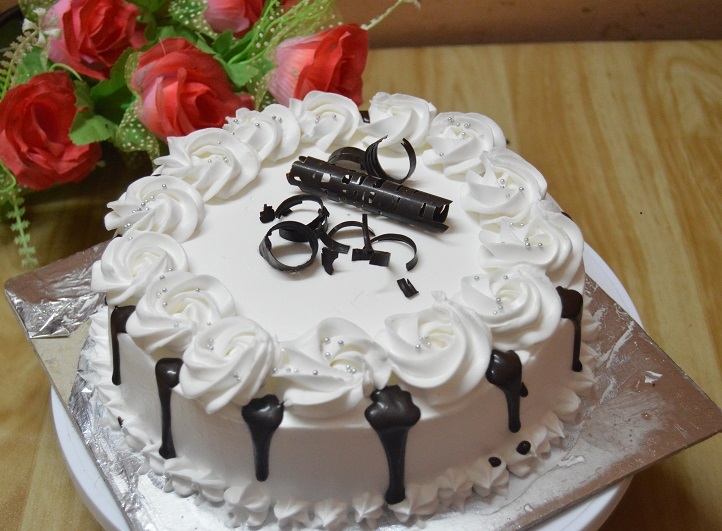 Lets see the making of eggless chocolate cake is bellow with detailed images and videos. Sift pain flour, baking soda, baking powder and coco powder for 3 times. Keep it aside. 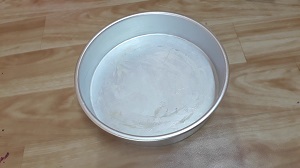 Put butter paper in a cake tin and grease it with butter or oil. Keep it aside. Pour milk, sugar and coffee powder in to a sauce pan, mix it well. Boil the milk until the sugar completely melted. Transfer in to a bowl and keep it aside to cool. Once its turns in room temperature transfer it in to a large bowl and pour the oil. Beat it for 1 minute using an electric beater. Pour melted butter and vanilla essence. Beat it again. Now add the sifted flour and beat it until well combined. Pour the batter in to the greased tin. Bake it in the pre heated oven for 35 minutes. After 35 minutes check the cake using a tooth pick and once it comes out clean, remove it from the oven and keep it aside to cool. 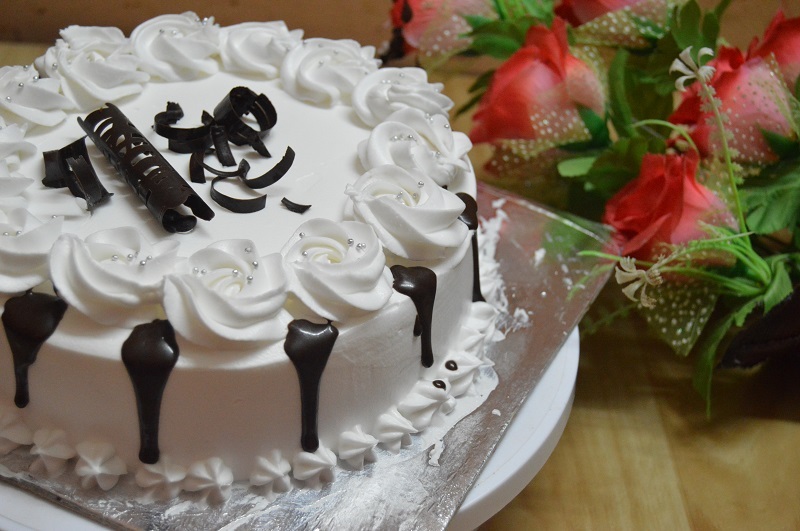 You can apply whipping cream frosting or chocolate ganache for decorating the cake. Thank you all if you like please subscribe our channel and send your feedbacks in comment box.